Summer is still going on..
What a wonderful photo , Steven ! 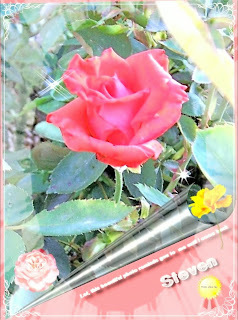 A rose which is shining with a nice paper and your name... Thank you, Steven.